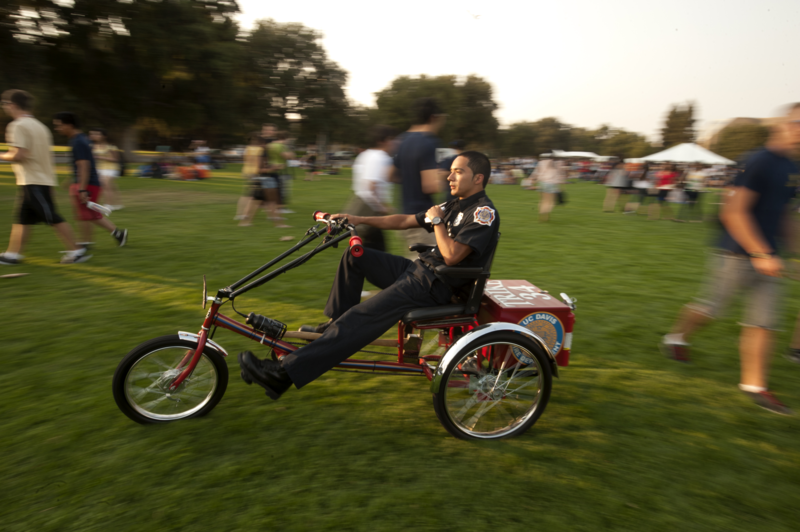 The UC Davis Fire Department has a proud tradition of students working side-by-side with career staff to provide a high standard of service to other students, staff, faculty, and visitors. Protecting one of the nation's premier universities also provides us with the unique opportunity to give a real-world experience that enhances the education that they are receiving. Our student employment opportunities aren't limited by major, career field aspirations, or previous experience in fire or emergency medical services. We teach selected candidates everything they need to be competent, confident, and successful in their work on our behalf.